What characterizes a “modern-style” quilt? 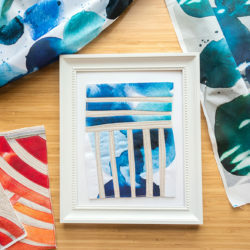 Modern quilts are usually characterized by the use of solid or almost-solid fabrics; negative space; improvisational piecing; and fun and unique color palettes. 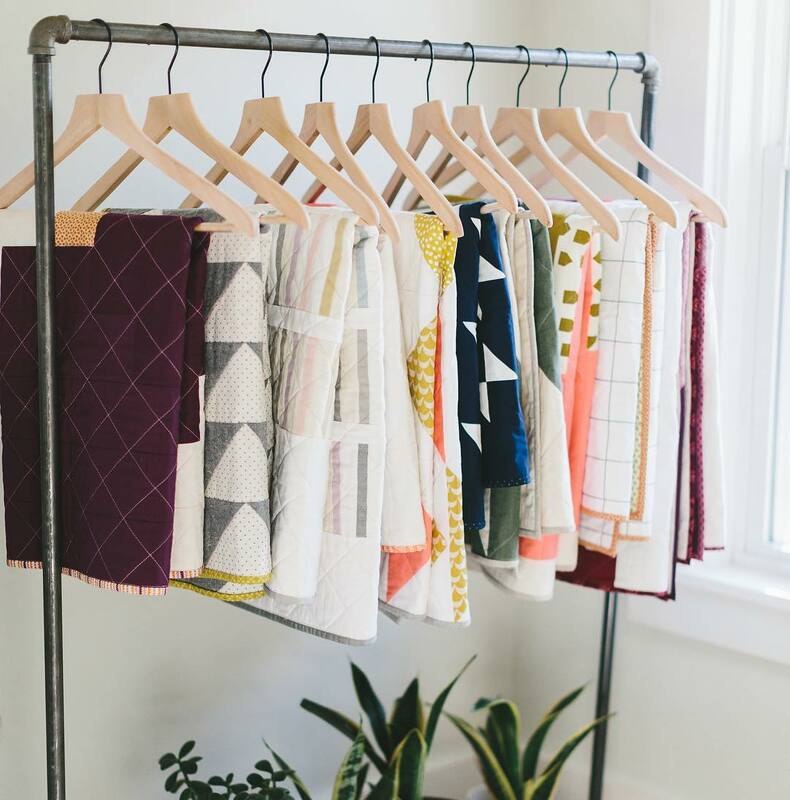 Shop the designs featured in Caitlin’s quilt. What are today’s customers looking for in a quilt? They are looking for quilts that fit into their modern décor and are unlike the quilts they may have grown up with. Many of my customers are looking for something unique and personalized, whether it be a quilt made from a loved one’s clothing; a custom and meaningful quilt label; or a quilt to fit in a specific space, both in size and color. 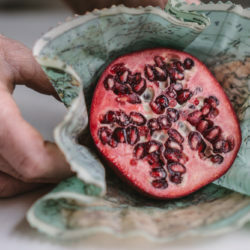 What’s new and fun in the quilting world? 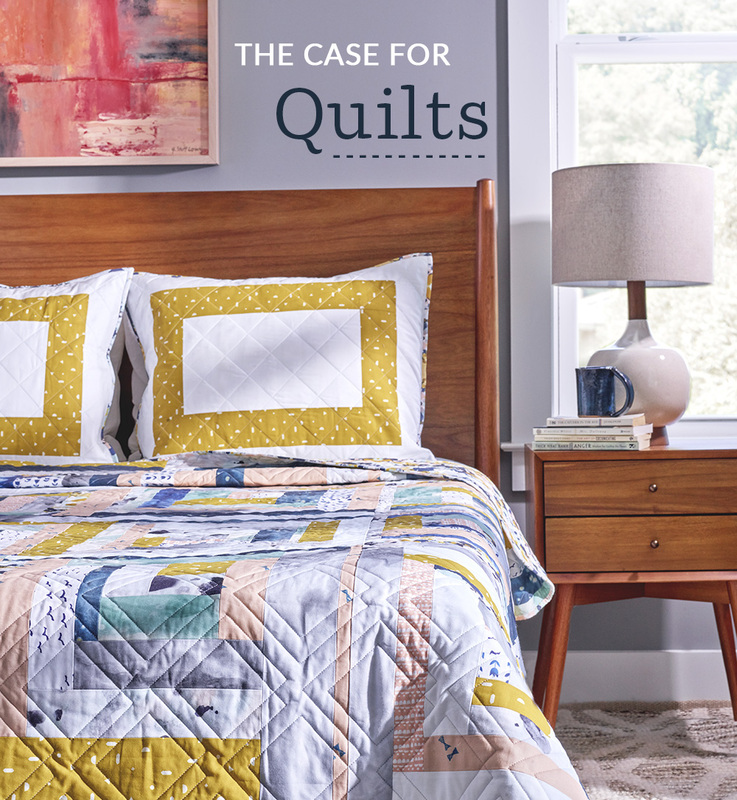 Whole-cloth quilts that eliminate the need to piece quilt tops are totally catching on. They are a real timesaver! Spoonflower has a cool tool called Fill-a-Yard™ that does just that. Another fun thing are quilt labels. I personally love using Spoonflower to print stacks of quilt labels, so that I can label a quilt the moment I finish it. 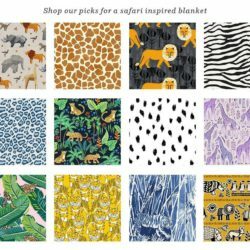 Get a jumpstart on your quilt with Fill-a-Yard and our curated collection of designs! Kona® Cotton Ultra: The perfect choice for beginners and experts alike is an essential in the quilting industry. This premium, long-staple cotton fabric has a soft hand and is easy to sew. Organic Cotton Sateen Ultra: The gold standard for the softest natural quilts. This certified 100% organic cotton fabric has a subtle sheen and an optic white base to showcase the brightest colors. Minky: If you want a quilt as snuggly as a lamb, this is the pick for you. This incredibly plush 100% polyester knit fabric displays beautiful color and holds up well to washing. Great for backings too. 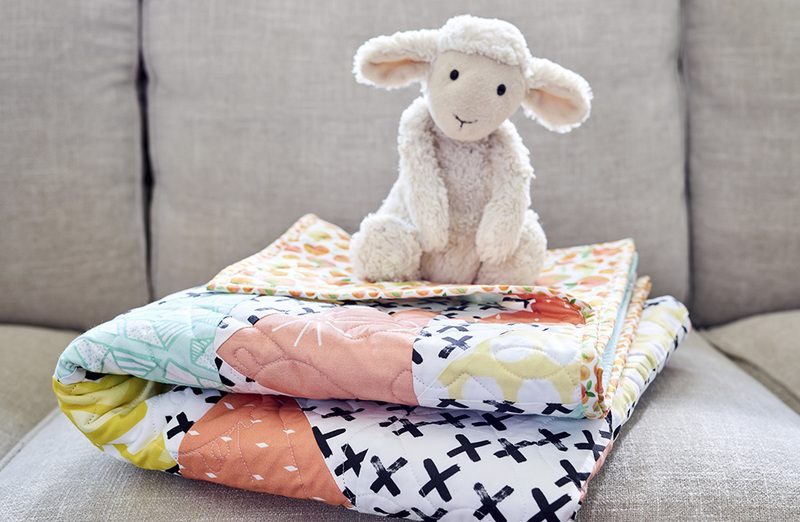 Cuddle up to the featured designs used in Caitlin’s quilt. Now that you’ve learned a bit more about modern quilting, get ready to fall in love with this quilt inspired by a Spoonflower design. 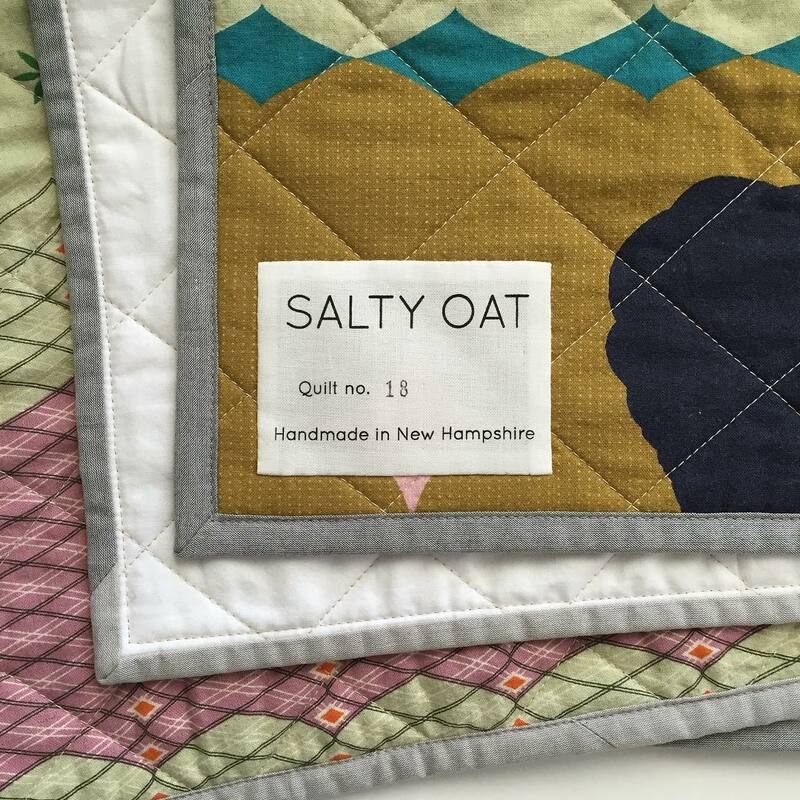 Caitlin To pham is the owner and quilter behind Salty Oat. 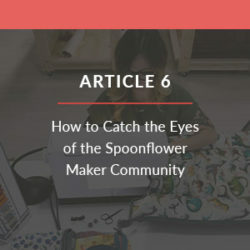 Her professional career has included stints as a book editor, quilt shop manager, and head of procurement at Spoonflower. After learning to sew from her mother and grandmother as a child, she first began making quilts in 2009. Her childhood art practice and graduate degree in art history inform and influence her quilt designs and fabric and color selections, which showcase a modern and minimal aesthetic. 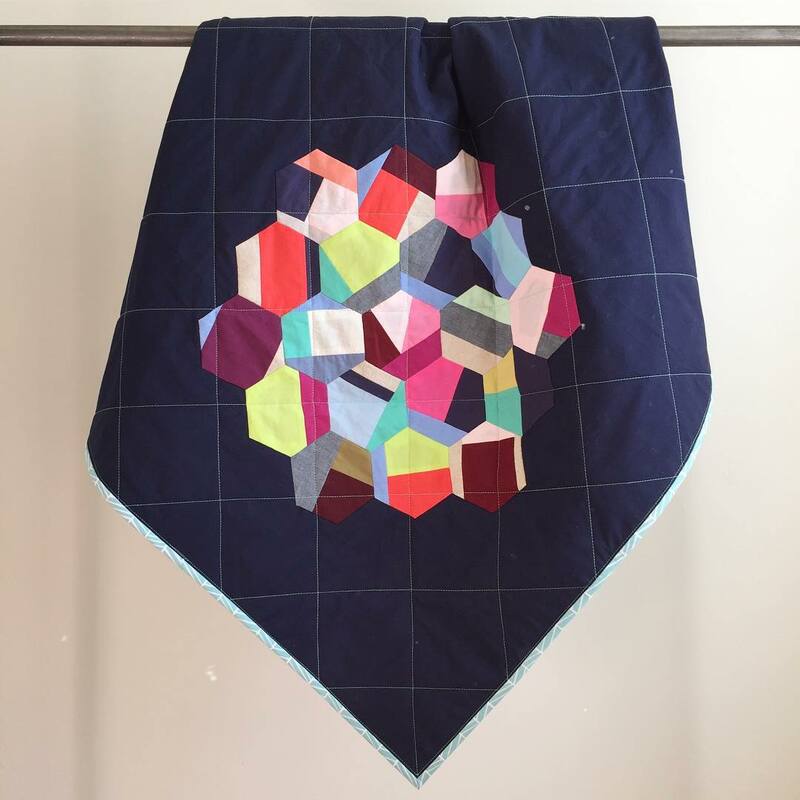 She enjoys working with both solid fabrics and vintage prints, and reimagining traditional block designs by playing with scale and composition. Interesting and I like modern quilts.